I always thought it was pronounced “brussel sprouts” until today … when I was researching things and learned it’s actually “Brussels sprouts,” named after the capital city in Belgium. My Mom “Betty” would surely know how to write the name correctly — it should begin with a Capital “B” and be plural, unless you’re referring to one mini tiny cabbage that you’re eating from a stalk o’ plenty (i.e. “Brussels sprout”). I’m not surprised people drop the “s” at the end of Brussels because ending one word with an “s” and starting the next one with an “s” requires your tongue to perform a linguistic double axle. Regardless, from here on out it’s Brussels sprouts! Dill weed makes an important appearance in this recipe and hopefully you’ll love the taste as much as I did. Corn aside, eating my veggies when I was a kid was as exciting as a trip to the dentist or completing a 100-question test. 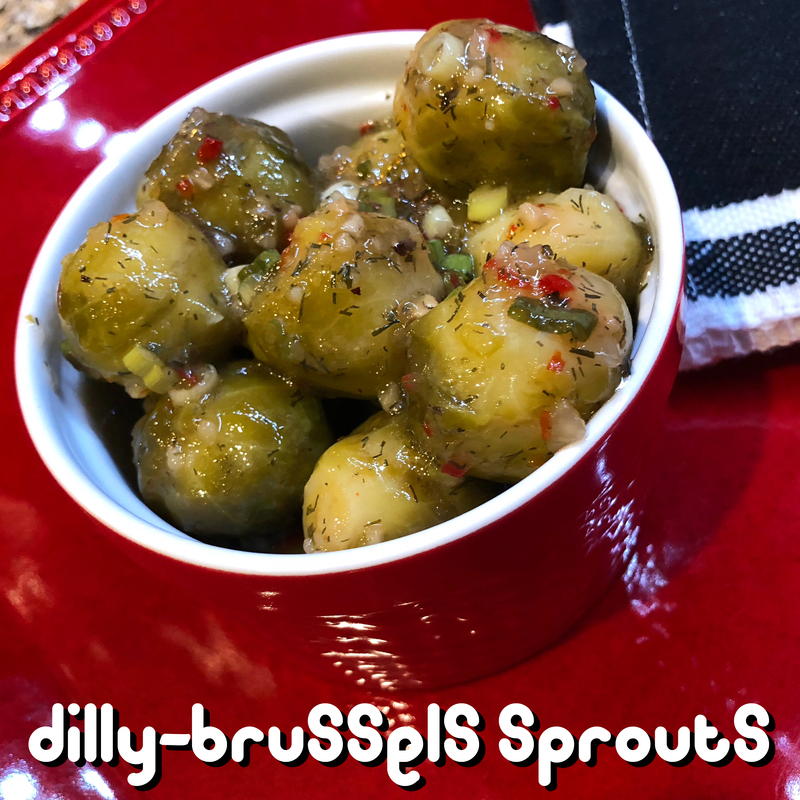 So while calling this “Dilly-Brussels Sprouts” may have been culinary camouflage to entice kids to eat what’s been voted America’s most hated vegetable, the mere mention of the word “dilly” makes me smile and have a try at this dish. While engaged with some “dilly” research I ran across this touching video of how one family’s lives were changed by another dilly of sorts — the DQ Dilly Bar. This sweet treat reminds me of the special place in my heart for Dairy Queen and their frozen ice cream treasures like sundaes, banana splits, chocolate-dipped cones, blizzards and of course the much beloved Dilly Bar. You can watch some vintage Dairy Queen commercials I curated below. 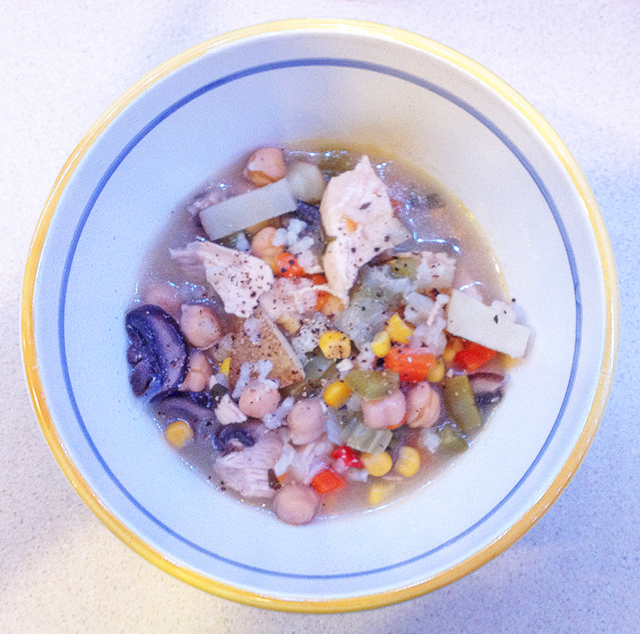 Several of the recipes I’ve shared on this blog take me back to my childhood home. From dishes that rekindle fond memories shared across the dinner table to long-forgotten tastes that ignite the heart and the belly. Never underestimate the power of cooking, sharing, and bonding over homemade food! What favorite foods take you home? ❤ Don’t have Italian dressing on hand? You can whip up your own homemade dressing with this Italian dressing recipe, also here on Betty’s Cook Nook. ❤ Bring your Brussels frozen or fresh – we don’t judge. ❤ I like my sprouts best salted and garlic-roasted from the oven but ignore this and try this recipe at least once, as originally penned. ❤ Hungry for more facts about Brussels sprouts? Read this post, which I found quite interesting! 1. Cook the Brussels and drain. 2. In a small bowl mix together the Italian dressing, dill weed, and green onion. Pour over the sprouts and chill several hours. Stir every now and again to keep things well marinated. This pairs well with most meat dishes and it can be served as an appetizer before the main spread. One of my earliest experiences with international food came in the form of these meatballs and the Swedish Chef making special appearances on The Muppet Show (no kidding). Thanks goodness mom was able to bring a bit of international tastebud travel to our tummies, compliments of this recipe and some of the Tex Mex favorites you’ll find here on “The Nook.” I can remember well mom’s electric skillet bursting with steam carrying the sensational and savory smells of swedish meatballs; where hearty meets happy. No wonder I wore Husky jeans growing up! 1. In a large mixing bowl, combine the eggs, milk and dry bread crumbs. 2. In a large skillet, heat 1 tablespoon of the butter. Sauté the onion until soft, about 5 minutes. Lift the onions out of the skillet with a slotted spoon; add to the bread crumb mixture, the ground chuck, ground pork, 1-½ teaspoons salt, ¼ teaspoon dill weed, the allspice, nutmeg, and cardamom. 3. With a wooden spoon or your hands, mix well to combine. 4. Refrigerate, covered, for 1 hour. 6. 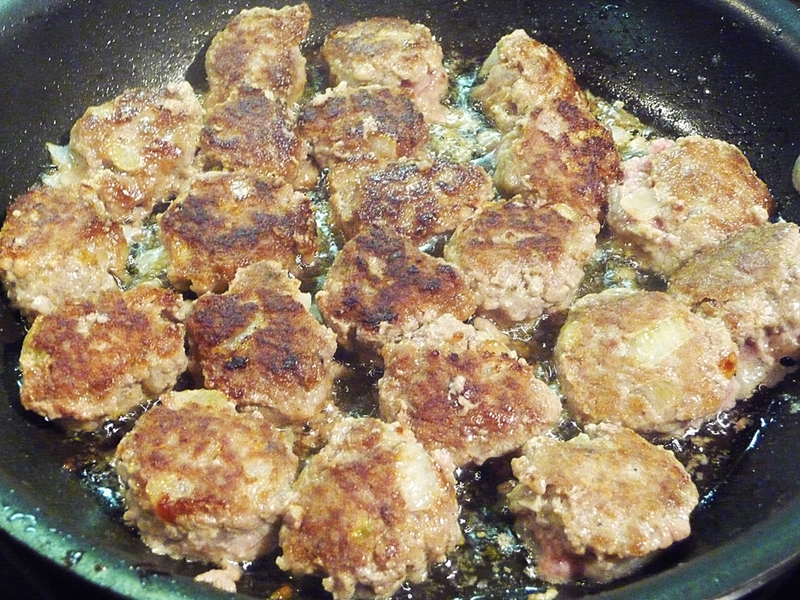 Take the meat mixture from the fridge and shape it into meatballs, each about 1″ in diameter. 7. In remaining hot butter, divide the meatballs into groups of 2 or 3 and sauté them until they are browned all over. 8. 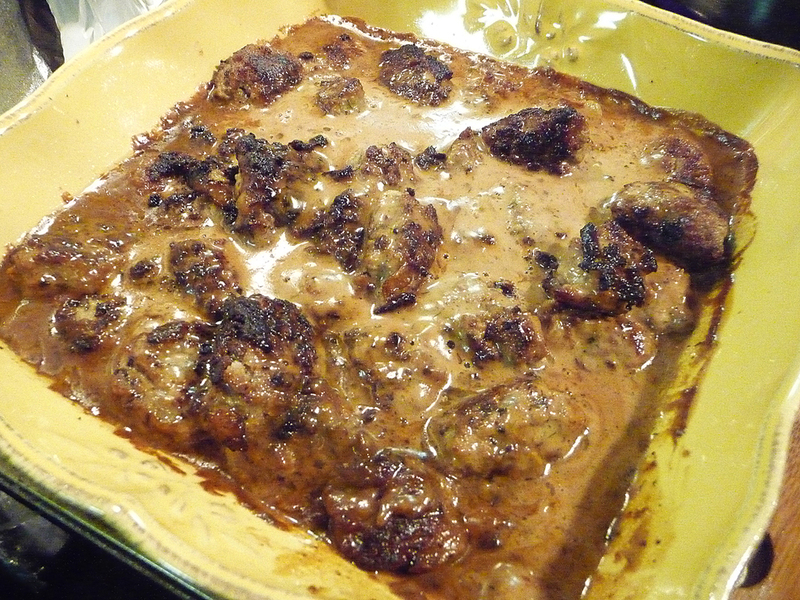 Transfer the meatballs into a 2-quart casserole, after they are browned. 9. Remove the skillet from heat. Pour off the drippings, reserving 2 tablespoons (add more butter if necessary). 10. Pour the dripping back into the skillet and add flour, the remaining ¼ teaspoon salt and the pepper, stirring together to make a smooth slurry over medium heat. 11. Gradually stir-in the beef broth, bringing the mixture to a boil, stirring constantly. Add the cream and remaining ½ teaspoon dill weed. Pour sauce over meatballs in casserole dish. 12. Bake, covered, 30 minutes. Garnish top of meatballs with fresh dill sprigs, if desired. 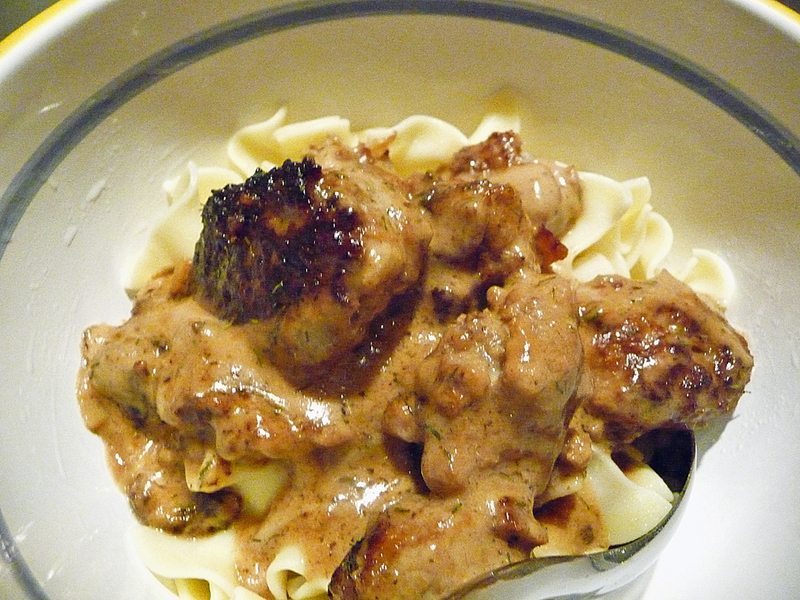 ♥ Serve the meatballs atop some wide, wavy egg noodles. 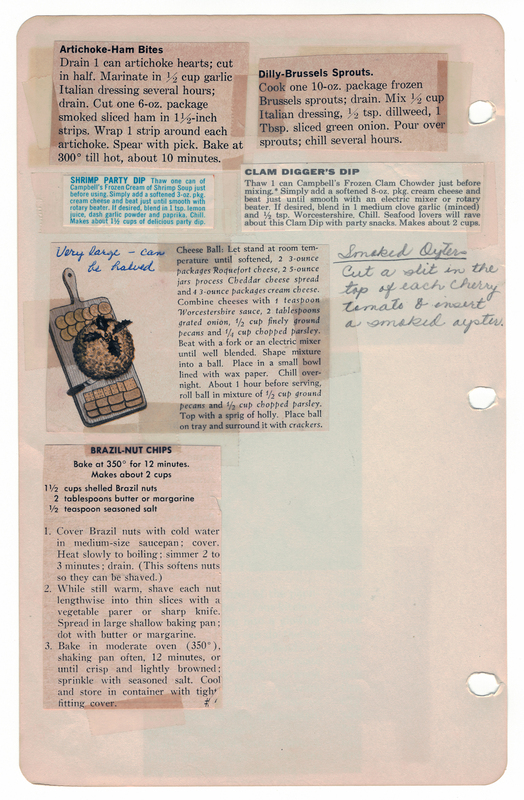 ♥ I love the sauce and will double it on my next “go” of this recipe. ♥ While a salt lover, I found this recipe a little salty for me so I’ll decrease the sodium shakes on my next Swedish adventure.